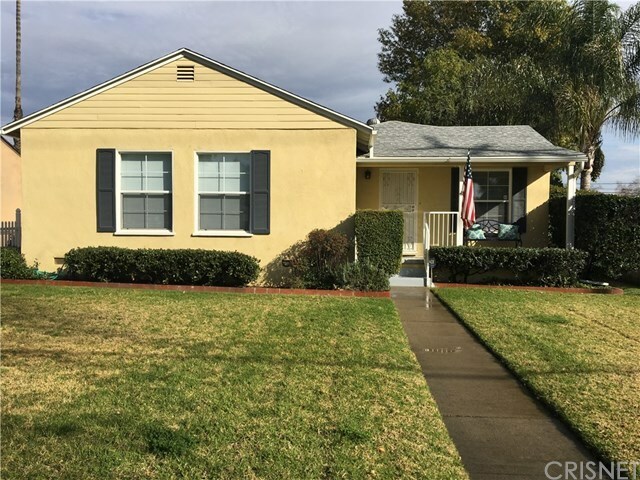 As soon as you enter this charming completely remodeled 3 bedroom, 1 bath Upland house, you will feel right at home with its open floor plan and gleaming original hardwood floors! The remodeled kitchen is complete with new cabinets, granite counters, stainless steel appliances, and tiled floors. The bathroom has also been beautifully remodeled with a marble vanity sink and tiled tub and floors. This home features plenty of windows providing natural light and beautiful views of the yard, and offers an indoor laundry room, central air and heating, dual pane windows, tankless water heater, recessed lighting, ceiling fans... French doors lead you to a large, landscaped back yard with covered patio, detached 2-car garage, RV parking, and alley access. Walking distance to Downtown Upland, shops, park, and San Antonio Hospital. This home has been lovingly cared for by the only two families who have ever lived in it and it is ready for you to call it home.